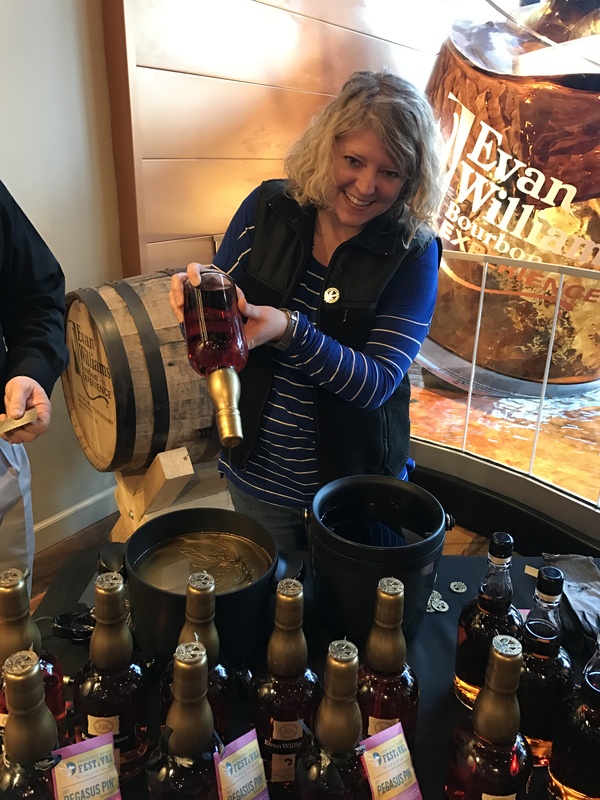 You never know what you’re going to get to do when the Kentucky Derby Festival holds a press conference at a bourbon distillery. Dipped my own bottle of Evan Williams Single Barrel, which they’re selling with a Derby Fest gold pin on top to commemorate the occasion. I forgot how calm and peaceful the Evan Williams Bourbon Experience is with that waterfall from that gigantic glass of bourbon in the window. I found my happy place there.